This spring I haven't been able to buy strawberries fast enough. We have been going through them like crazy! It has become routine that every night after dinner my daughter asks for strawberries, and this is after taking them to school for lunch, too. I have been enjoying them mixed with Greek vanilla yogurt and chia seeds, while my daughter and husband just eat them whole. When I picked up a new clamshell full of beautiful, red strawberries today, I had the idea to make a sweet snack with them. Something I could keep in the fridge for a few days (yea, right - I'll be lucky if this lasts one night!) that we can just pull out to snack on before dinner. 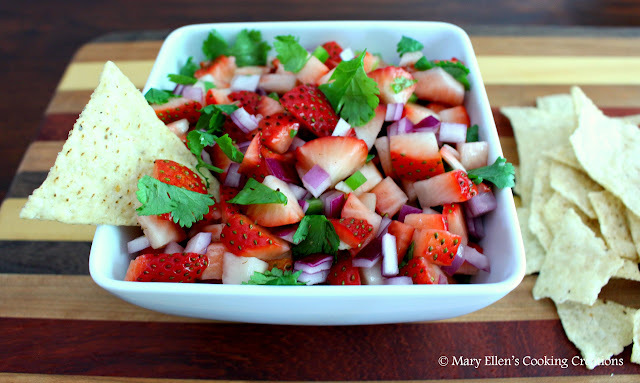 One of my favorite summer snacks is my Pico de Gallo (wow, that was my first blog post way back in 2007!) 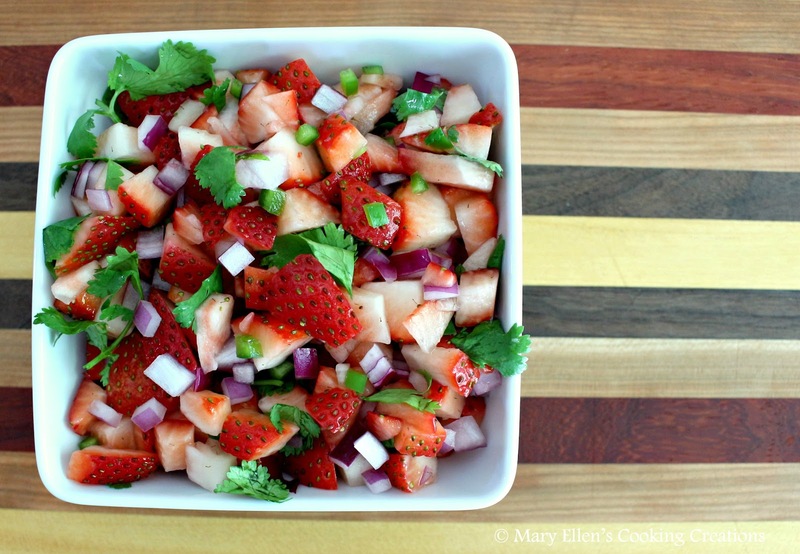 - sweet and juicy tomatoes, jalapenos, red onion, cilantro, and salt. 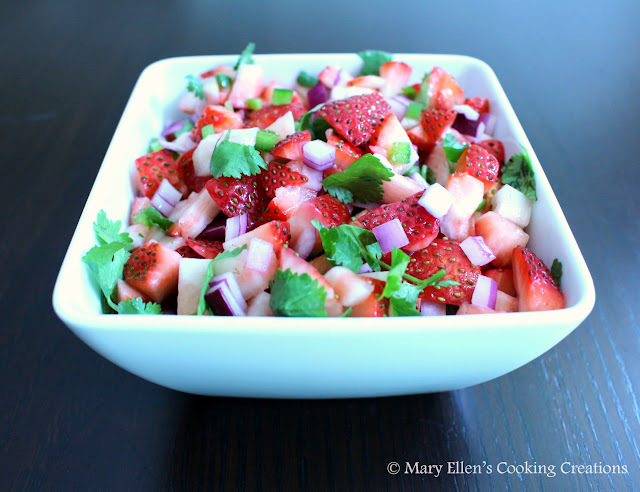 I used that as my inspiration for this Strawberry Salsa. The combination of sweet and spicy makes your mouth sing! I also added some lime juice for the sour factor, and the chips bring the salt. Seriously, this has everything! Besides eating this as a snack, I think it would be awesome atop some grilled chili rubbed fish or chicken. great idea! 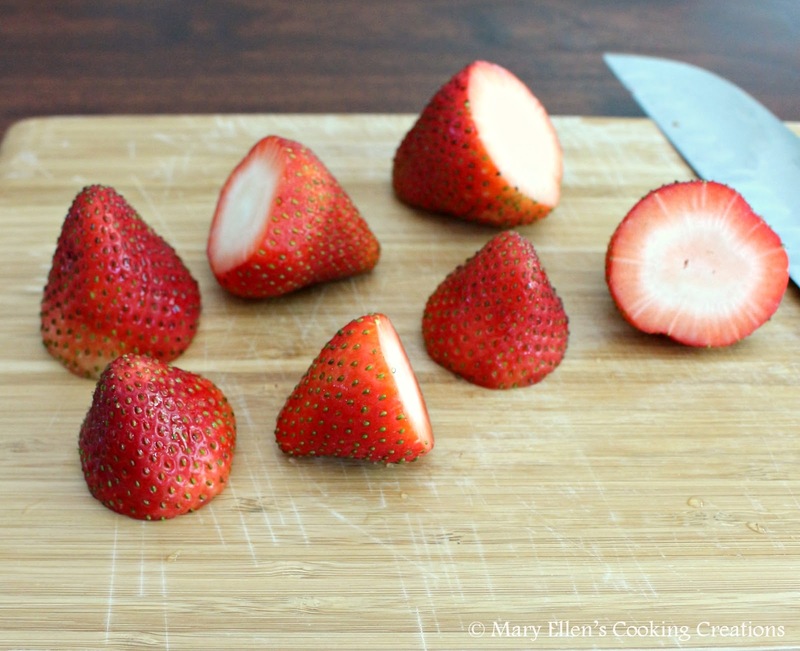 I'd love to make this and try to can it to savor in the strawberry-less months!